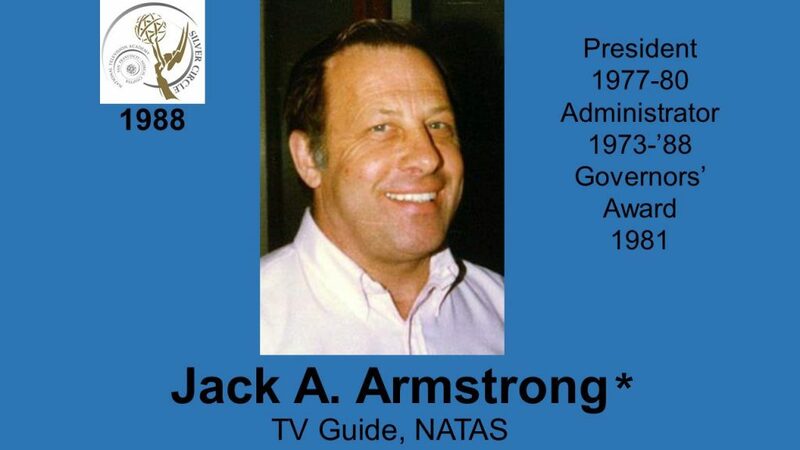 JACK ARMSTRONG, long-time Administrator of the San Francisco/Northern California Chapter of NATAS and equally long-time Station Representative at TV Guide was the surprise addition to the Silver Circle Class of 1988. Since Jack produced the induction the committee had to keep it a secret. Many recognize Jack as the guiding force that has held the San Francisco NATAS chapter together over the years, through the lean years as well as the recent affluent times. He served as this chapter’s only administrator, and at no salary. 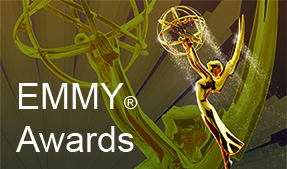 In fact, his countless hours and unceasing effort of behalf of NATAS nationally, as well as from a local standpoint, are incalculable.